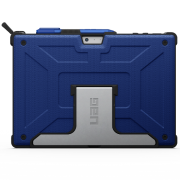 August 2017 – URBAN ARMOR GEAR (UAG), leading designers of rugged, lightweight, drop-tested mobile accessories, has announced two new cases for Microsoft’s new Surface Pro. The Plasma Series case for Microsoft’s new Surface Pro is the first UAG case designed for professionals who depend on their tablet in the field and in the office. 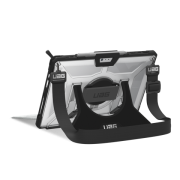 The Plasma Series case features a360-degree rotational hand strap, and a built-in kickstand to transform the tablet into a laptop with ease. Portability features include Surface Pen storage, and an optional shoulder strap. Additionally, the case is compatible with the Microsoft Type Cover and Microsoft Surface Dock. For professionals on the go, UAG introduces the Metropolis Series case for Microsoft Surface Pro. Engineered to complement the Surface Pro, the Metropolis Series case adds a tactile soft grip, Surface Pen storage, and an aluminum stand with 5 angular viewing positions, while retaining compatibility with the Microsoft Type Cover Keyboard. Both cases are also compatible with the Microsoft Surface Pro 4, and like all UAG products, they are independently tested to meet military drop-test standards and will protect the new Surface Pro in rugged conditions. 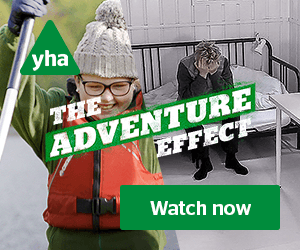 Inspired by adrenaline-fueled outdoor adventures throughout Southern California, Urban Armor Gear (UAG) delivers mobile accessories and cases developed to survive rugged terrains while protecting your tech throughout any journey. Urban Armor Gear’s innovative and lightweight yet durable designs constantly evolve to provide urban adventurers and global thrill-seekers high-quality accessories to preserve the latest tech gear on the market, with the reassurance that their UAG mobile cases will perform in all extremes. Our badge of honor stands behind every single UAG product, receiving a military-grade certification for protection against shock by enduring rigorous laboratory drop-testing. Visit urbanarmorgear.com or facebook.com/UrbanArmorGear for more information.